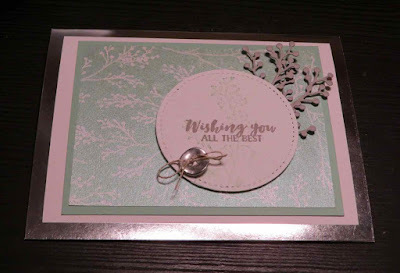 Karina's Kreations: Foil Edged First Frost Card! Foil Edged First Frost Card! Do you love making cards but don't like cutting the card bases? 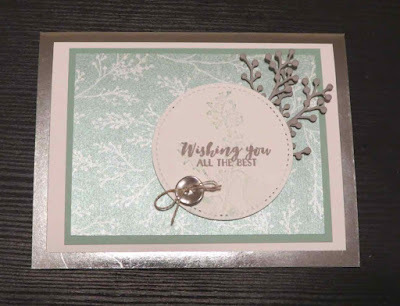 Stampin'Up has come out with a great solution for your holiday cards. They are offering Foil Edged cards in Gold and Silver. You get 20 cards with envelopes for $13.00. 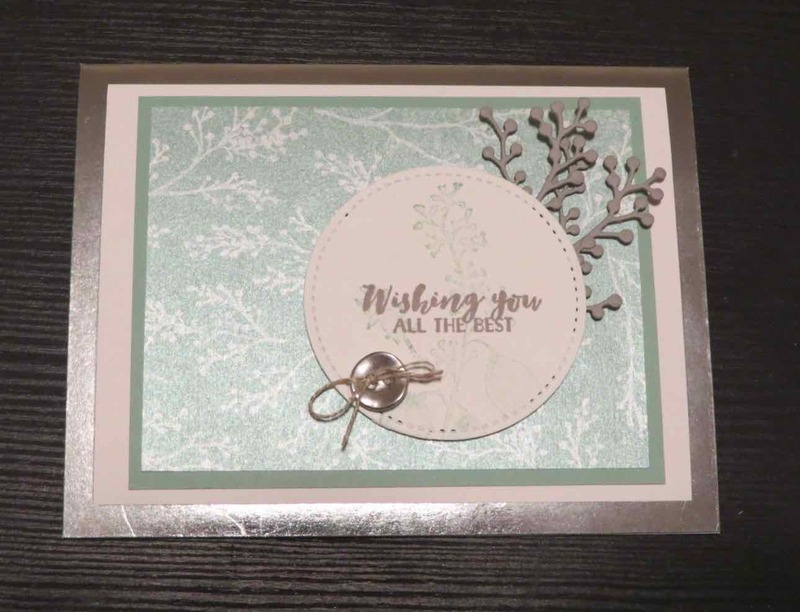 I made this beautiful First Frost card with the Silver Foil Edged card. Here's the supply list for me card.